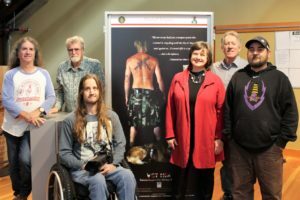 VET INK: Tattoos Inspired by Military Service runs from October 17, 2018 – Summer 2019. Opening reception is October 17 from 5-7pm. Vet Ink: Tattoos Inspired by Military Service showcases 9 veterans and 3 Active Duty personnel who have ties to Coos County. Historically tattoos have many meanings as well as misconceptions. Traditionally military inspired tattoos depict the story of wars and battles and symbolize lost soldiers or achievements in service. 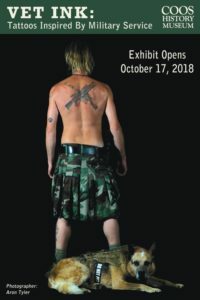 Vet Ink: Tattoos Inspired by Military Service is an exhibition created to honor the more than 8,000 veterans who reside in Coos County, Oregon and the men and women who serve. Click here for the pdf version of the article featured in the 11 October 2018 Register-Guard. Special thanks to our exhibition team. From L to R: Vinnie Cavarra & David Ford, Inner Sanctum Studios; Aron Tyler, Aron Tyler Photography; Susan Tissot, CHM Executive Director; Larry Watson, WOW arts & exhibits; and Eric Dub, Coast Metal Works, Inc.. Exhibit now on display. 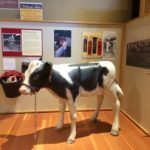 Visit the museum to check it out! 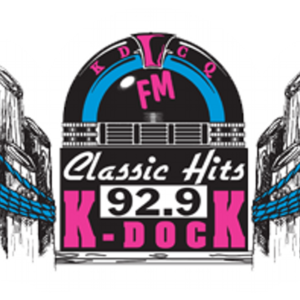 Stay tuned for more details on upcoming exhibits. United States Coast Guard Art ran from July 19-September 16, 2018. 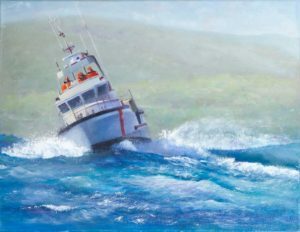 U.S. Coast Guard: Through the Eye of the Artist showcases 15 works depict the missions of the U.S. Coast Guard, including search and rescue cases, buoy tending operations and surf boat patrols. Many of the works depict events occurring in the West and Northwestern parts of this country. 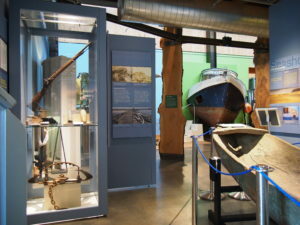 This exhibit opened with a search and rescue demonstration from our local Coast Guard community. I Am Not Invisible ran from May 10-July 8, 2018. 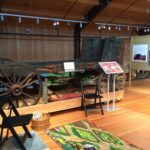 I Am Not Invisible (IANI) is a remarkable exhibition coming to the Coos History Museum. The exhibit features 20 portraits of Oregon women military veterans. There are more than 28,000 women veterans in Oregon — a number that has risen steadily over the past three decades — representing almost one-tenth of Oregon’s veteran population. And yet, women veterans continue to face significant barriers and challenges in accessing necessary health care and other services, while experiencing a lack of recognition unlike their male counterparts. 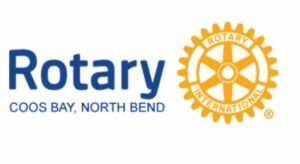 By spotlighting the many faces of this diverse and important segment of the Oregon veteran community, IANI aims to increase awareness and dialogue about women veterans, as well as open viewers’ eyes to the myriad contributions, needs and experiences of women who have served in the military. Patriot Nations ran from March 2018 through April 2018. 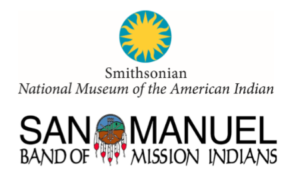 Patriot Nations: Native Americans in Our Nation’s Armed Forces tells the remarkable history of the brave American Indian and Alaska Native men and women who have served in the United States military. 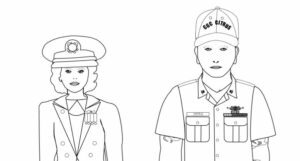 Native peoples have participated in every major US military encounter from the Revolutionary War to today’s conflicts in the Middle East, serving at a higher rate in proportion to their population than any other ethnic group. 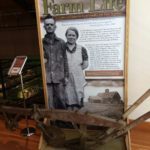 Agriculture Exhibit ran from July 2015 through January 2018.